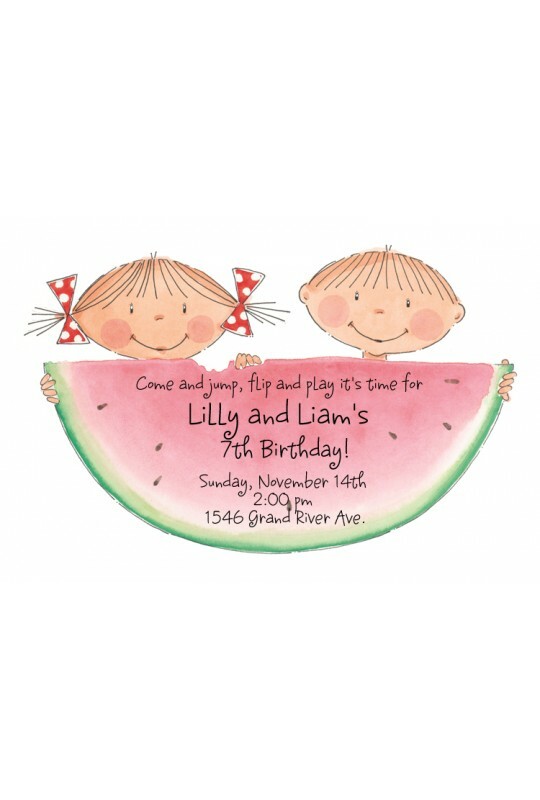 This fun die cut features a girl and boy peeking out from behind a giant piece of watermelon. 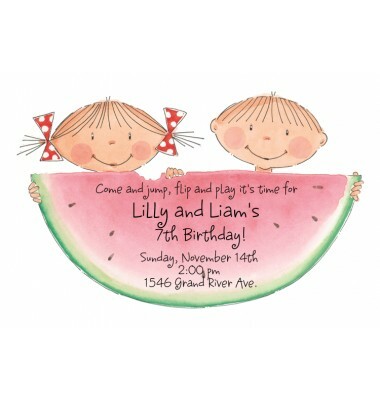 Perfect for twins birthdays and any summer party! If ordering unprinted, card is compatible with most printers. Envelopes included. Size: Approx. 6.00" x 8.75"